Toyota will signal it is “back in business” with light commercial vehicles with the world debut of its new Proace panel van and the first UK appearance of the all-new Hilux pick-up at the Commercial Vehicle Show in Birmingham on 26 April. 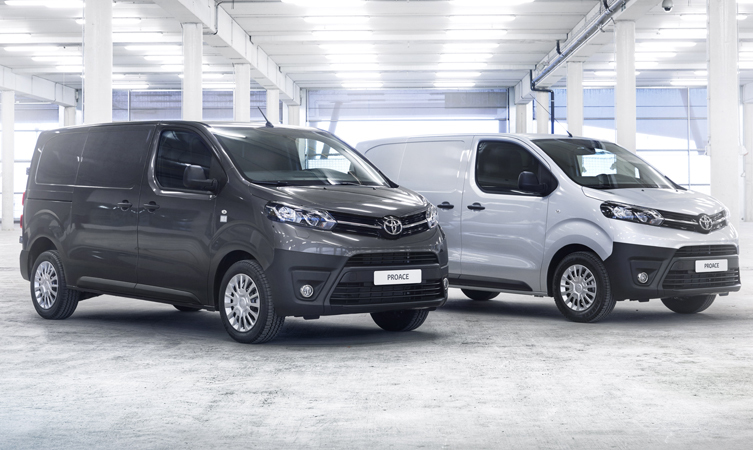 The new Proace Panel Van range, scheduled to go on sale later this year, will give Toyota comprehensive coverage of the medium duty van market. The line-up will include three body sizes, two wheelbase lengths and a variety of formats, including (for the first time) a platform cab for bespoke vehicle bodies. Breaking new ground in the segment, the new Proace Van Compact will offer the load capacity of a medium duty model, within the footprint of a car-derived van. To deliver more flexible load-carrying, Proace Van will be available with a new Smart Cargo system. This combines an opening front bulkhead and a mechanism to raise the front passenger seat to provide a class-leading capability for accommodating longer items. Payloads will extend up to 1.4 tonnes and powertrains will feature 1.6 and 2.0-litre turbodiesel engines, with a power range from 95 to 122bhp. Proace Van will available in panel van, crew cab and nine-seat combi versions and as a platform cab. It will also provide the basis for a new passenger vehicle, the Proace Verso large people-carrier, which was unveiled at the Geneva motor show in March. The all-new Hilux marks the start of the eighth generation of Britain’s best-selling pick-up. The new model will reinforce Hilux’s unmatched reputation for hard-wearing quality with improvements in strength, performance and driveability. 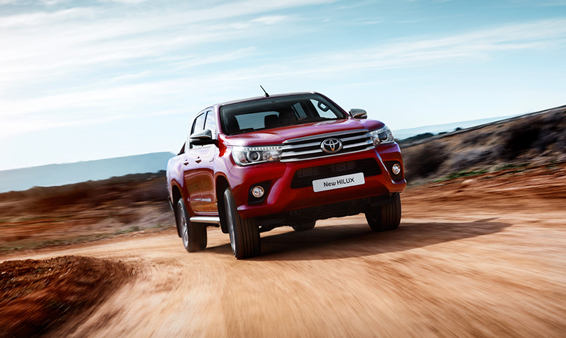 New equipment specifications and options and redesigned cabins align new Hilux with the comfort, safety and convenience associated with modern SUVs. In the UK the new model will be available for the first time with Toyota Safety Sense, introducing a range of active safety and driver assistance features. The new exterior design adopts contemporary Toyota styling cues that capture Hilux’s combination of toughness and refinement. As well as looking good, the design also helps secure even better off-road performance, with improved front and rear ground clearance. A new rear bumper incorporates a lower step for easier access to the load deck, which itself has been made larger, stronger and more rigid. Hilux’s towing ability has been significantly improved, with a maximum 3.5 tonnes expected to be available within the range by the end of this year. As previously, Hilux will be offered in Single, Extra and Double Cab configurations. At launch it will introduce Toyota’s new 2.4-litre Global Diesel engine and a new six-speed manual transmission or optional automatic gearbox. Further details and specifications of both the new Proace Van and new Hilux will be available at the Commercial Vehicle Show, which takes place at the NEC, Birmingham, from 26 to 28 April.